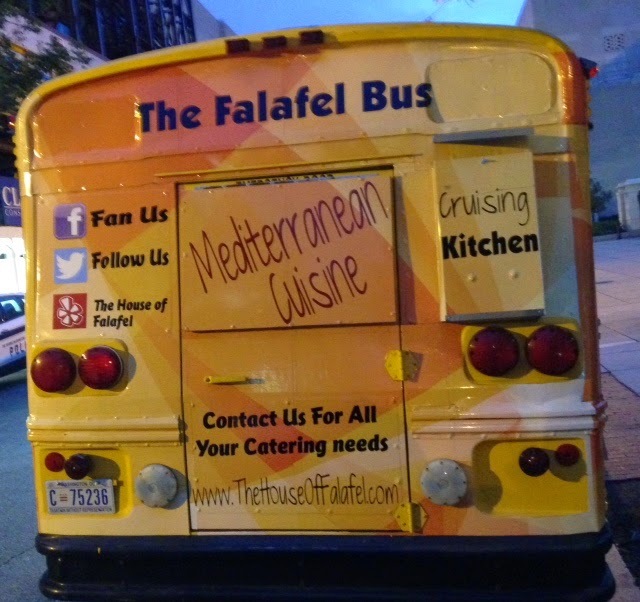 Want to Ride The Falafel Bus? Falafel is a funny sounding food, but actually tastes pretty good. The best that I've ever had was in Tel Aviv with spicy falafel balls, hot french fries, and loads of creamy Tehina stuffed in the pita. Only thing better is with juicy grilled schwarma, right off the rotating fire spit, and hot sauce, and for that try Max's in Silver Spring. One of my friends used to joke about the guy with an accent selling falafel, but who used to ring out (what sounded like), "Pizza and Palapel!"